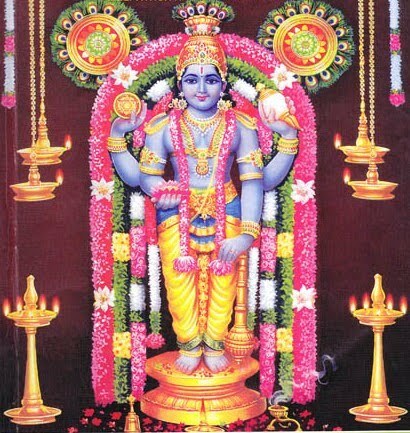 Oh God, Oh Lord of Guruvayur , Oh Krishna, Oh ocean of mercy,Let the soles of your feet which is the sweetest part of your body,To the great sages, The liberated ones reside there. They pour all the desires of their devotees, and are like the sprouts of the celestial tree. O Lord of Guruvaayur! May those feet always rest in my heart. O Ocean of Compassion! destroy all my sorrows and confer a full abundant flow of Supreme Bliss.